Jesse Marquez, Appointed to the California Global Warming Solutions Act EJ Advisory Committee and who is the founder and Executive Director of the Coalition for a Safe Environment is a UCLA trained Community Organizer. Alex Alexiev, a former Rand Corporation Senior Public Policy and National Security Analyst with 32 years experience, is currently with the Hudson Institute. Leslie Dutton, Moderator and Emmy Award winning Producer of the Full Disclosure Network cable TV and Internet productions. Alexiev points out that California’s Proposition 23 on the 2010 November ballot was designed by to temporarily stop implementation of "the Global Solutions Act" (AB32) which was signed into law in 2006. The law has come under scrutiny by public policy experts, who warn that the California economic crisis will be worsened by massive job losses created if the legislation is allowed to be implemented during a time of budget cuts, layoffs and fiscal crisis. Marquez counters the negative claims that AB32 will be harmful and urges Proposition 23 to be defeated so that the new law can be implemented immediately to stop global warming and other public health related problems. Considering the crippled economy of California, do you think it is the appropriate time to attempt to solve a global problem? Do you think that California should dedicate itself to resolving the immediate danger of climate change? Do you think global warming is a serious man-made problem that needs immediate and extensive action? Los Angeles, CA Two days following his unexpected release from L A Central Men's Jail On Friday September 17, 2010 Richard I. Fine described the conditions in "coercive confinement' and his eighteen month ordeal waging a legal battle for freedom from his solitary jail cell without an attorney. 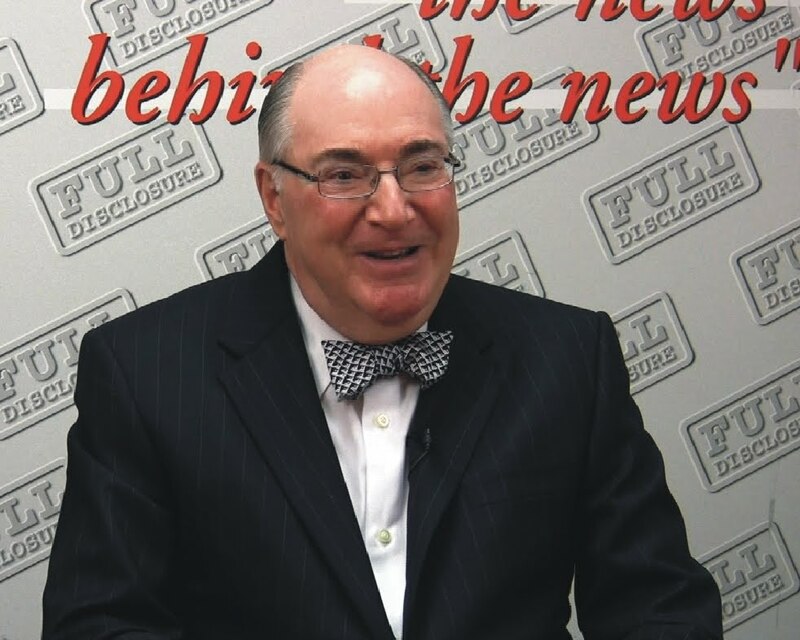 Full Disclosure Network® presents a ten minute video preview from a three hour exclusive interview featured on the Internet Websitehttp://www.fulldisclosure.net. Richard Fine who holds a Ph.D in International Law and was a former U.S . Prosecutor in Washington D. C. tells of his darkest moment during his incarceration, and the reasons why he was never tempted to give in to the illegal order of State Superior Court Judge David P. Yaffe. The full interview is to be released to Public Access Cable channels throughout California and on Community Cable channels in major cities throughout the United States a and the Internet. The Full Disclosure Network is billed as "the news behind the news", an independent public affairs cable TV show produced by Emmy Award winning host Leslie Dutton and Producer T J Johnston since 1992. Former U. S. Prosecutor, Dept. of Justice Washington D.C.
Los Angeles, CA -- On Friday, September 17, 2010 at 10 p.m. Richard I Fine was released from his solitary "coercive confinement" cell in L A County Mens Central jail where he spent the last 18 months. He was unexpectedly released by Order of California Superior Court Judge David P. Yaffe who had just posted a Minute Order on September 16, 2010, one day before, where he restated that Fine should continue incarceration, setting a hearing date for six months in the future. Although Richard Fine was never charged with a crime or convicted he was incarcerated after attempting to disqualify Judge Yaffe from sitting on his civil contempt of court case due to a conflict of interest. Why would Judge Yaffe reverse himself the very next day on September 17th on Kol Nidre, the first day of Yom Kippur, the Day of Atonement in the Jewish religion. Judge Yaffe apparently had a change of heart, issuing an Order that Sheriff Baca release Dr. Richard Fine from jail. It should be noted that the U.S. Supreme Court precedent in the 1974 case of L.A. Times reporter William T. Farr (In Re Farr) held that a person should not be held for more five days in “Coercive Confinement” for civil contempt of court. 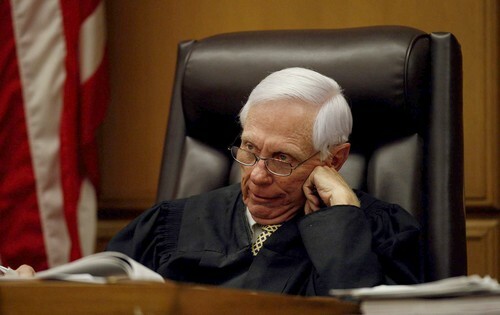 Was this the reason Judge Yaffe had a change of heart? Editors Note: View the document here that was before Judge Yaffe (Notice of Motion to Null & Void All Orders in the Marina Strand Colony II vs County of Los Angeles) No. BS109420 Richard Fine's Motion is based upon the court documents filed with the higher courts by Yaffe and his lawyer Kevin McCormick which he has now admitted were based on false information and a non-existent court order. These documents were filed in opposition to releasing Richard I. Fine from jail. Judge Yaffe had admitted in court testimony that he was receiving illegal payments from L. A County who was a party to the case. In 2008 the Sturgeon vs County of Los Angeles case held that the County payments to State Judges was illegal and unconstitutional. It has been estimated that State Superior Court Judges have received over $300 million in illegal payments from the County since 1987 and have failed to disclose this fact to litigants in the courtroom. On October 13, 2010 the Fourth District Califorinia Court of Appeal will hold Oral Arguements in the Sturgeon vs County of LA case where the Judicial Watch organization is seeking Injunctive Relief to stop the illegal County payments to State Judges that are now $57,000 per judge per year on top of their State Salary of $180,000. These developments have caused considerable tension within the Superior Court and Judge David Yaffe especially regarding the handling of the Richard I Fine case. The announcement a few weeks ago that Yaffe was going to retire in November before his term of office was to expire led to speculation that Yaffe was "resigning" rather than retiring from office. Should the Court punish lawyers who raise the issue of Judicial conflict? Is this why only 3 succesful lawsuits against LA County in 10 years? Does Yaffe's Statement Indicate Retaliation Against Fine? Should Lawsuits against L A County be Prohibited Entirely ? Richard Fine submitted a September 3, 2010 letter to California Attorney General Edmund G. (Jerry) Brown, Jr., Los Angeles District Attorney Steve Cooley, U. S. Attorney Andre Birotte, Jr., and U.S. Attorney General Eric Holder requesting Grand Jury Investigations and Indictments of Yaffe and 21 other State and Federal Court Judges.